It can be very frustrating trying to send a picture that just won’t go through. If you are using iMessage and continually finding that your images just won’t send, follow these steps to identify and fix the problem. Remember that iMessage and regular text message (SMS) are not the same thing. While both iMessage and SMS allow you to send text, photos, and various other media, iMessages will only send to other users of iOS devices and Macs. 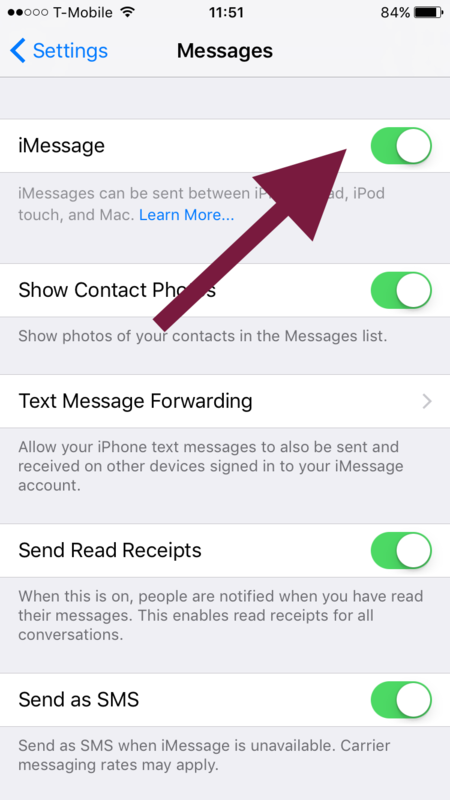 iMessages can be sent through Wi-Fi connection, while you need a text messaging plan from your carrier to send SMS. There are two possible reasons for an inability to send pictures through iMessage. The first is that your iMessage is down. If your iMessage is down, you will be unable to use iMessage at all, and all messages must be sent through SMS. The second plausible cause of your issue is that you have poor connection. 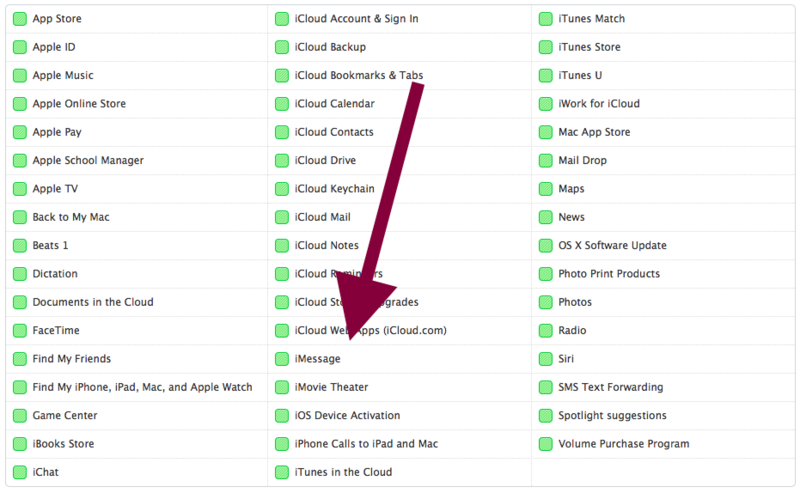 Recall that, unlike text messages, iMessage can be sent both through Wi-Fi or cellular data. However, if you are experiencing connection issues through either of these, you may find that you are unable to send pictures. See below for instructions on how to identify which of these is your issue, as well as how to correct it. Open a web browser on the device that is giving you problems. Visit this link, which will prompt Apple to run a diagnostic of all their systems on your device. The screen that will appear will present all Apple services that are currently installed on your device, such as iMessage, Facetime, iCloud, Siri, etc. Services with a green square icon beside them are operating normally. Services with an icon of any other color, such as a red square, means that the Apple system for that service is currently down or experiencing some issues. If iMessage appears to be operating normally, then this is not your issue. Keep reading to find out if your pictures aren’t sending as a result of connection issues. If the screen indicates that your iMessage is currently down, then the issue is temporary. Unfortunately, it also means that it’s out of your hands for now. You must simply wait it out while Apple corrects its systems. In the meantime, try sending your picture through SMS. This will require cellular data and a text messaging plan, but does not rely on Apple systems. There are a number of things that could be causing you connection issues. Try them all until the problem is solved. 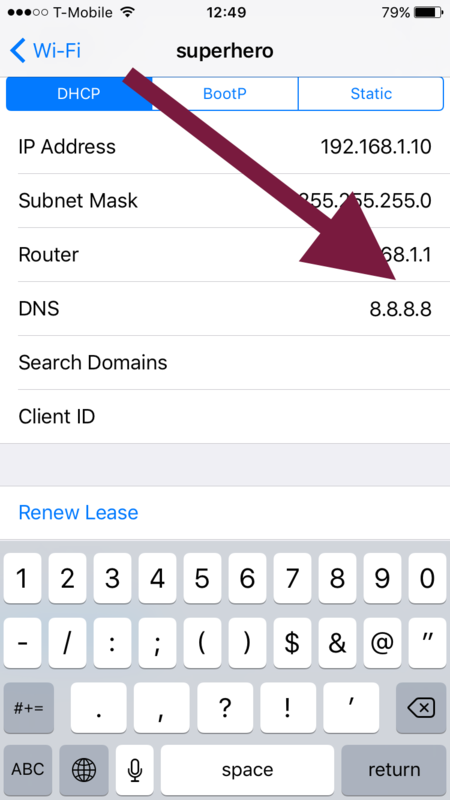 Check that you have a connection, either through Wi-Fi or cellular data (iMessage can send through either). Make sure that iMessage is turned on. Settings > Messages, and turn on iMessages. Make sure that MMS messaging is turned on. Restart the messaging app by closing it. See if the problem is fixed when you relaunch the app. Restart your device. Press and hold the Sleep button until the option “Slide to Power Off” is presented. Turn the device on again by pressing the same button. Restart your router. Unplug the power cable, then plug in again after one minute. If none of these solve your problem, try sending a photo to someone else in your contacts. If the issue is occurring with only one person, it means that the failure is occurring at their end, not yours. Contact Apple if you are still having trouble. Same things happening to me. RecoveryTool Fix Recovery solve my problem. I seems like there is a bug with the new updated version of IOs. When you attached picture or vids on your imessage with out “send” and lock the cellphone these picture will desappered. If you have your apple account shared in other device for some reason it seems as “delivered”. According to apple.support these problems were reported early when the version 10.1 came out. They also seem to have issues with the new future of Face Characters. Some times they do not delivered as a result of high data and IPm componenet of the audio and video. The new updated IOs 10.2 will have a new updated version of the character interface and will fix the bug resporter by many user.